Come June, Lionsgate will lift the curtain on the Four Horsemen once more and, by effect, Now You See Me 2. A direct sequel to the magical sleeper hit of 2013, the studio has appointed Jon M. Chu at the helm for this year’s crime caper and though it’s still to hit theaters, plans are already in place for Now You See Me 3. Word comes by way of Variety, revealing that Chu has been tapped to return for the threequel. Casting details for the embryonic follow-up are, as you would imagine, about as elusive as the Four Horsemen themselves, but Lionsgate is surely hosting talks with all of the core players – Jesse Eisenberg, Woody Harrelson, Mark Ruffalo, Dave Franco – in anticipation of a third globetrotting escapade. After pulling the wool over the FBI’s eyes – and our own – not to mention earning an impressive box office haul, Lionsgate has recruited Lizzy Caplan to its band of Robin Hood-esque magicians for Now You See Me 2. She’ll play the role of new recruit Lula, joining Michael Caine, Morgan Freeman and Daniel Radcliffe, with the latter causing all manner of chaos for our Four Horsemen as scheming prodigy, Walter Mabry. 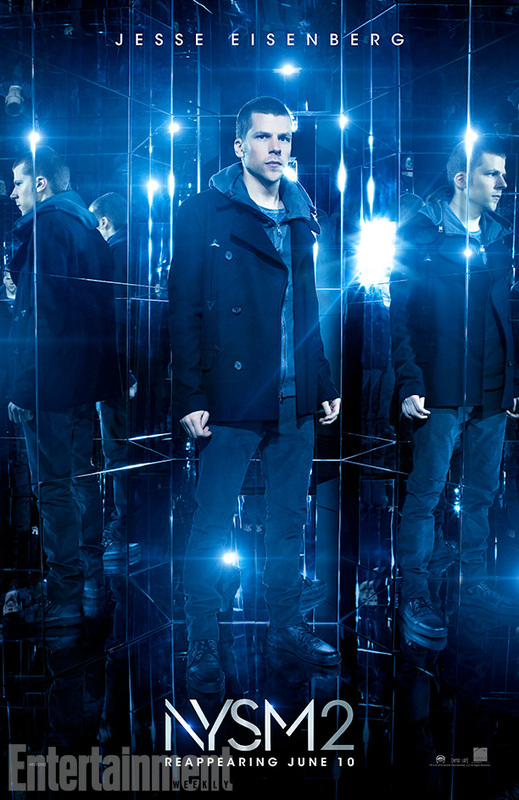 Now You See Me 2 will hope to weave its magic at the worldwide box office come June 10, lest those plans of a threequel grind to a halt before they can get going in earnest. The Four Horsemen return for a second mind-bending adventure, elevating the limits of stage illusion to new heights and taking them around the globe. One year after outwitting the FBI and winning the public’s adulation with their Robin Hood-style magic spectacles, the illusionists resurface for a comeback performance in hopes of exposing the unethical practices of a tech magnate. The man behind their vanishing act is none other than Walter Mabry, a tech prodigy who threatens the Horsemen into pulling off their most impossible heist yet. Their only hope is to perform one last unprecedented stunt to clear their names and reveal the mastermind behind it all.